Trezor (or Trezor device) is the original and most trusted cryptocurrency hardware wallet designed and marketed by SatoshiLabs. The primary function of Trezor is to serve as a hardware wallet for cryptocurrencies. In addition to its primary function, it has many other security applications, such as password management and second-factor authentication. The first generation of Trezor, first released on 29 January 2014, is currently known as Trezor One. The next-generation device is called Trezor Model T and was released on 26 February 2018. What started as a small project of two dedicated programmers soon became the golden standard of cryptocurrency protection and storage. Trezor is the most trusted cryptocurrency hardware wallet worldwide. It was the first product of its kind, revolutionizing the safety of cryptocurrency assets. Trezor has been audited by independent security researchers and verified by its track record over the last five years on the market. Its software and hardware are open-source and public. Trezor and its tailor-made software interface Trezor Wallet is also very easy to use, which makes it suitable both for beginners and advanced users of cryptocurrencies. For more information see User manual. The original Trezor One is the golden standard of cryptocurrency safety. This single-purpose computer contains everything needed to protect cryptocurrency funds. For more information about this product, see Trezor One. 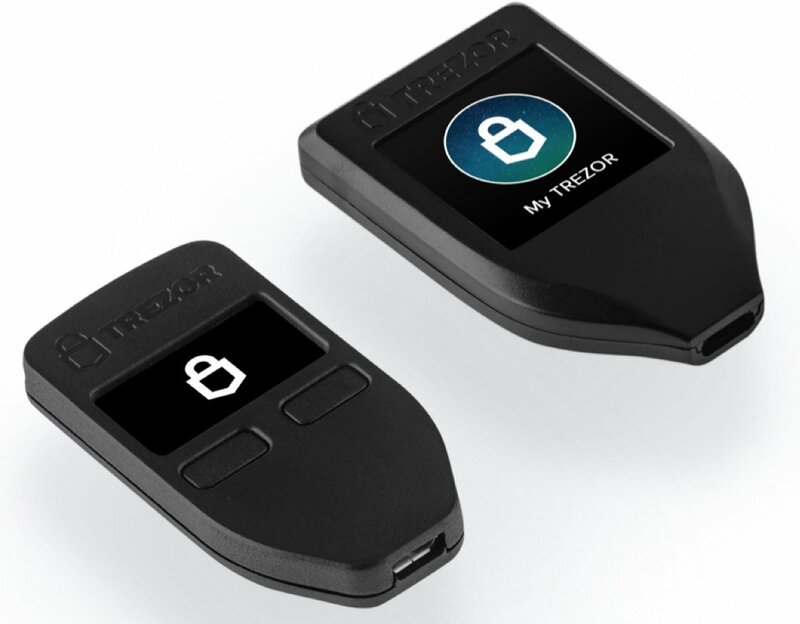 Trezor Model T is the premium version of the well-known hardware wallet. In addition to the functionalities of Trezor One, it has a colored touchscreen for secure on-device input, modern design, an SD card slot and some other more advanced features. For more information about this product, see Trezor Model T.
For a comparison of the two products side by side, see trezor.io. Trezor supports more than 500 coins and tokens, for more information, see this link. The recommended and most reliable choice for the Trezor device is Trezor Wallet, an easy-to-use interface that allows users to control their funds, manage their balance and make transactions. Additionally, there are many other compatible third-party wallets and services. For more information, see Apps. The easiest and recommended way of buying Trezor is on shop.trezor.io or from an authorized reseller. Potential resellers, partners, ambassadors and media can refer to the partner section of this Wiki. Developers can refer to the developers section of this Wiki. In case any help or clarification is needed, the Trezor Support Team is just a few clicks away. Being up to date is easy with the Trezor Blog.